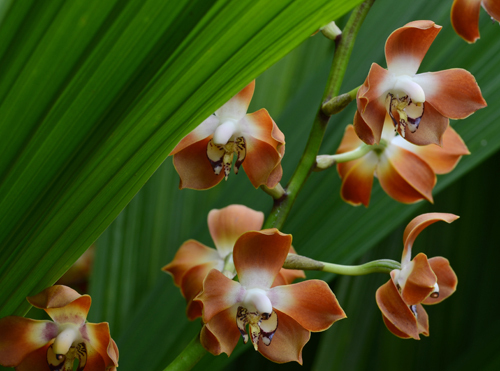 Neomoorea is one of our Euglossine bee pollinated orchids and is closely related to Houlletia and Stanhopea. Male Euglossine bees collect liquid fragrance from orchid flowers, not as food, but most likely to attract female bees. I never wake up in a panic in the middle of the night thinking, The Neomoorea! Where did I put the Neomoorea? It's the size of a Smart Car and about as heavy. And it's not moving. So for the time being it's staying in the back up greenhouse. 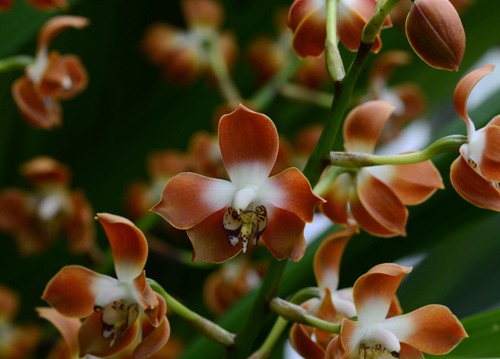 However you can admire one of its relatively small offspring flowering in the back of the Orchid Display House. A Neomoorea can grow frighteningly quickly given warmth, humidity and 50% shade. Are there any other orchid species that share this particular shade of pumpkin orange? None leaps to mind. 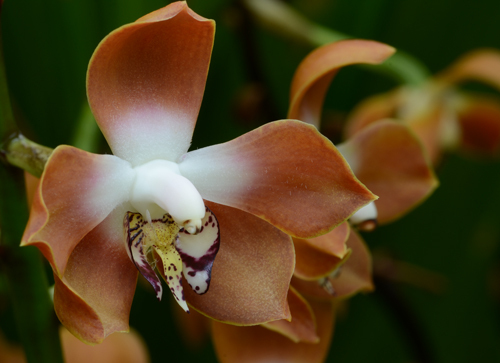 We have lots of gorgeous orchid species and hybrids in flower now during ORCHIDdaze: Surreal Beauty. I hope to see you here this weekend!